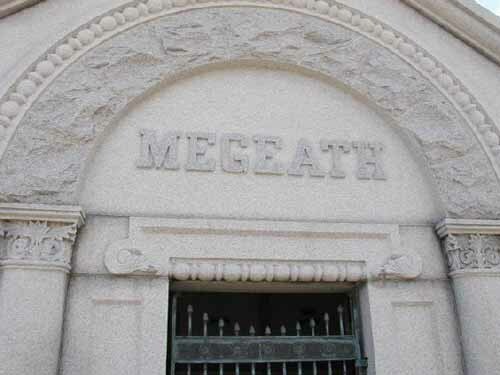 The Megeath family owns the only mausoleum in Prospect Hill. It was designed by Thomas Kimball, a very influential and well-known architect in the formative days of Omaha. Click here to read about the house he built on 90th Street here in Omaha in 1924, when 90th Street was way, way out from the city. James Megeath was born in Virginia, spent some time in the gold fields of California, and finally settled in Omaha in 1854. He opened a freight business, and became very active in real estate. He donated 40% of the land for the future Hanscom Park. He also served as Nebraska State Senator, and was Speaker of the House in 1866. 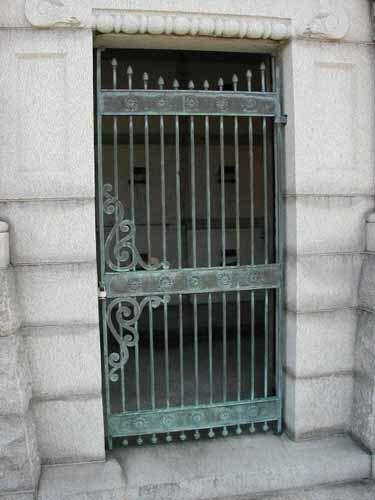 His wife, several of his sons and several grandchildren are buried in the mausoleum also. 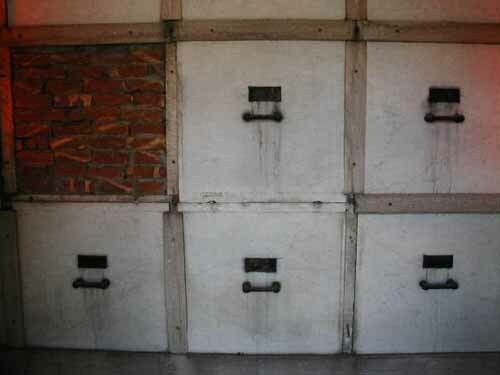 The inside of the Megeath mausoleum.